According to a report by Lending Tree, the Phoenix area was among the top 10 in the nation for house size. They used its property value database to calculate the median living space for single-family homes for the 45 largest metro areas in the United States. They found the metro Phoenix area houses averaged 1,832 square feet. That is the seventh biggest in the nation. Surprisingly, the ranked in the middle in terms of value. 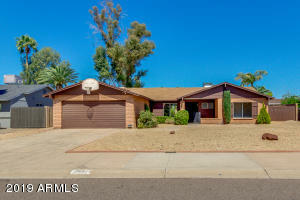 The median Phoenix house price was $255,000, ranking 19th. The area’s $133-per-square-foot value ranked 21st. Cowboy Ciao, known for its Stetson Chopped Salad and extensive wine list, opened on Stetson Drive west of Scottsdale Road in 1997. The restaurant was owned by Peter Kasperski. Peter’s other restaurant in Old Scottsdale, Kazimierz World Wine Bar, has also closed. Taxes and finances may have played a role in the closure. Posted on their Facebook Page: Unfortunately, an end of an era has come upon us. Tonight is the last night Cowboy Ciao will be open. Thank you to all for the wonderful memories and support over the years. We will miss you all. Raise a glass of whatever vino you are enjoying. Cheers to a wonderful run!! Please visit our sister restaurant New Wave Market and Super Chunk Sweets & Treats for the Stetson Chopped Salad, now on their menu. Cowboy Ciao will be dearly missed, but their legacy will live on! Nationwide Mutual Insurance Company, a Fortune 500 company, has paid $83 million for more than 100 acres of state trust land in Scottsdale near Loop 101 and Hayden Road. They plan to construct a mixed-use development on the 134-acre site, including a regional corporate headquarters. They currently have an office complex in Scottsdale that employs 1,200 but that could jump to 5,500 with the project’s completion. The city of Scottsdale chose Nationwide to oversee its employees’ retirement plans in May. “Today’s successful auction represents another major milestone for Arizona — Nationwide‘s significant investment speaks to the confidence businesses have in our state’s thriving economy. I look forward to working with Nationwide as it plans for an expanded presence and an even brighter future in Arizona.”, said Arizona Governor Doug Ducey. The Mayo Clinic in Phoenix is doubling the size of its campus with a $648 million expansion project. They expect to break ground in the next 8 to 10 months. Last month, U.S. News & World Reports rated the Phoenix Mayo Clinic as the best medical center in the state and the 11th best in the country. It is also the nation’s fifth-largest solid organ transplant center. The expansion of its campus off 56th Street south of the Loop 101 is expected to create almost 2,000 jobs in the next 10 years, including more than 200 for physicians and scientists. I am in South Beach, Florida at the 16th Annual Luxury Real Estate Spring Retreat representing my clients. I am meeting many luxury real estate agents that can help me promote my listings. I am learning about the current luxury market and obtaining great information. I will be back at the end of this week. Call me if you would like to hear more about my trip. 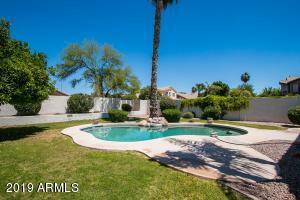 Homes in the magic Scottsdale zip code 85254. Minimum 3 bedrooms, 2 baths, 2 car garage and private pool up to $400,000. 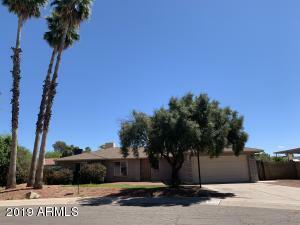 Affordable Scottsdale living! A new urgent care clinic could open this week at Phoenix Sky Harbor International Airport. The U.S. CareWays clinic will be inside of Drugs & More, a store located on the third floor of Terminal 4 near the C gates. I think this is a great idea – what do you think? Great news for Central Phoenix Residents! A Sprouts Farmer’s Market location was expected to be featured in a mixed-use development that will feature both retail spots and apartments in midtown Phoenix. According to the Phoenix Business Journal, the grocer will be featured in The Osborn Marketplace, which was the retail side of a project called The Osborn. The project will be located on the southwest corner of Osborn Road and Seventh Avenue.